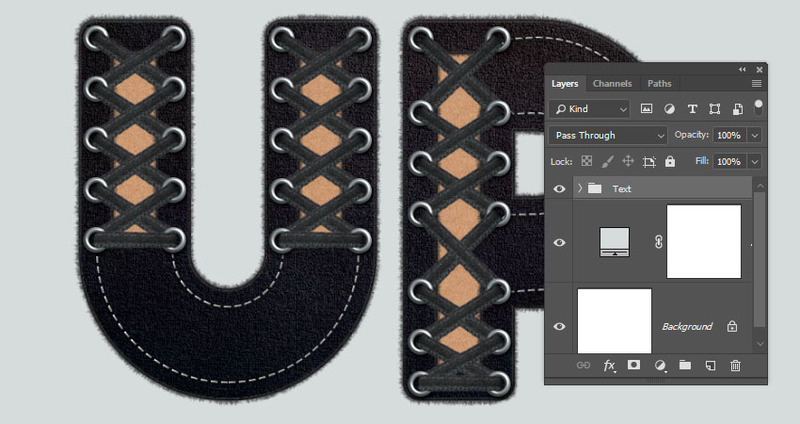 This tutorial will show you how to use Photoshop’s layer styles, filters, and adjustments to create a stylish lace-up text effect. Let’s get started! Open the 71.jpg image from the Realistic Textile Backgrounds 5 pack. 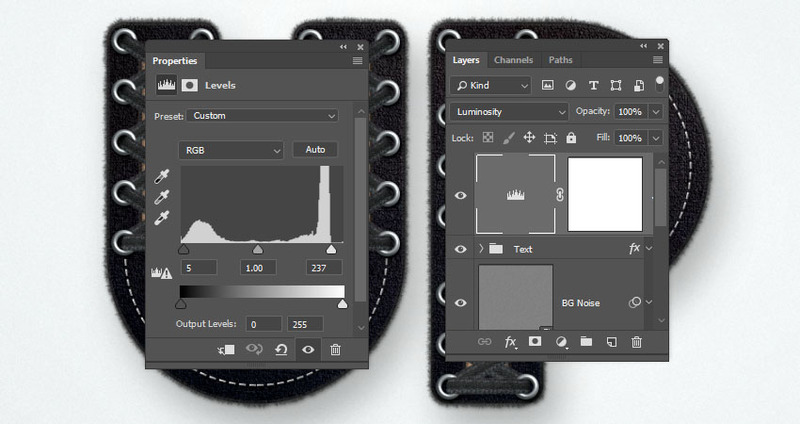 Go to Image > Image Size, change the Width value to 1170, and click OK.
Do that for the rest of the pattern images to add them to the Patterns preset. 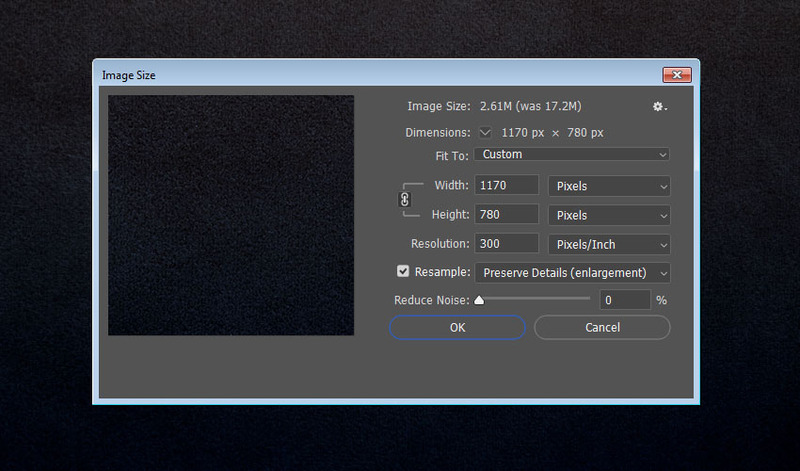 Create a new 1000 x 1000 px document. 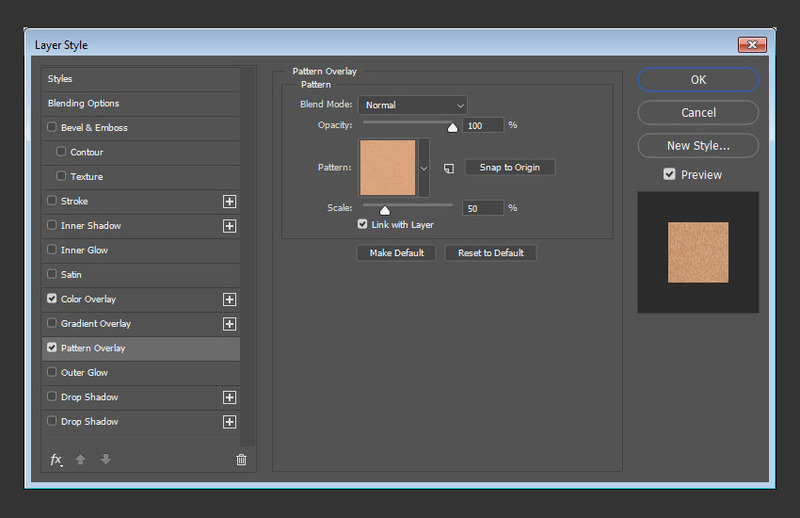 Click the Create new fill or adjustment layer icon at the bottom of the Layers panel, choose Solid Color, and use the Color #d6dbdb. 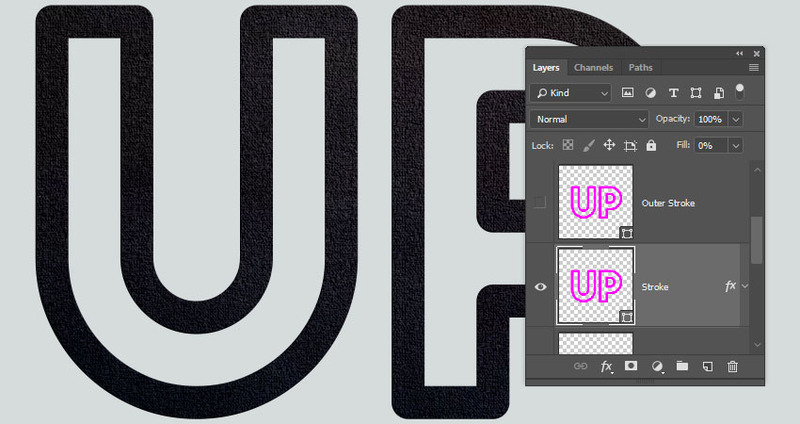 Create the text using the font The Next Font. Set the Size to 550 pt and the Tracking to 50. 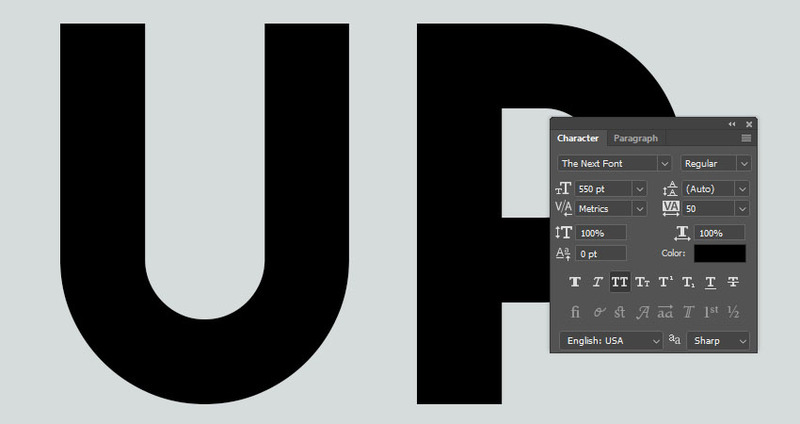 Duplicate the text layer and hide it, and right-click the copy to choose Convert to Shape. 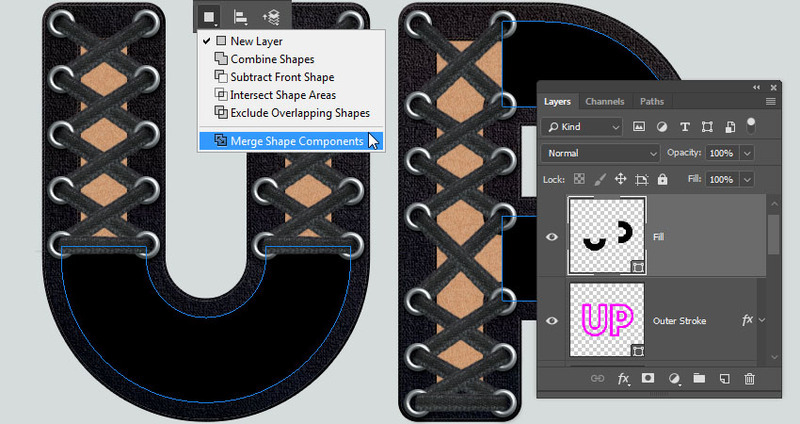 Rename the shape layer to Text Shape. 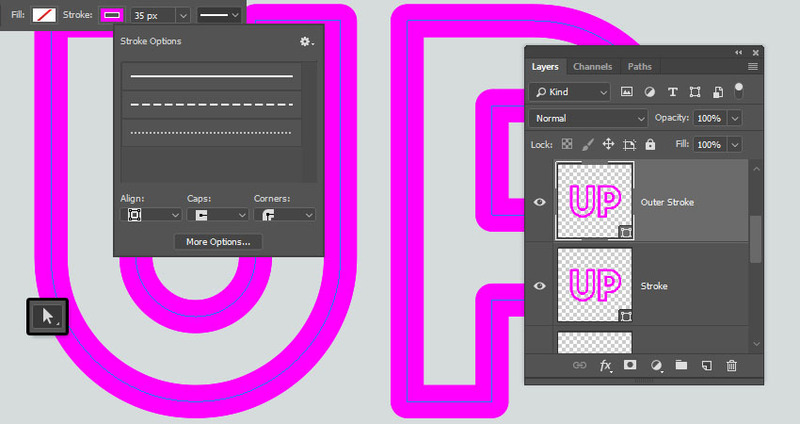 Duplicate the Text Shape layer 3 times and hide it. 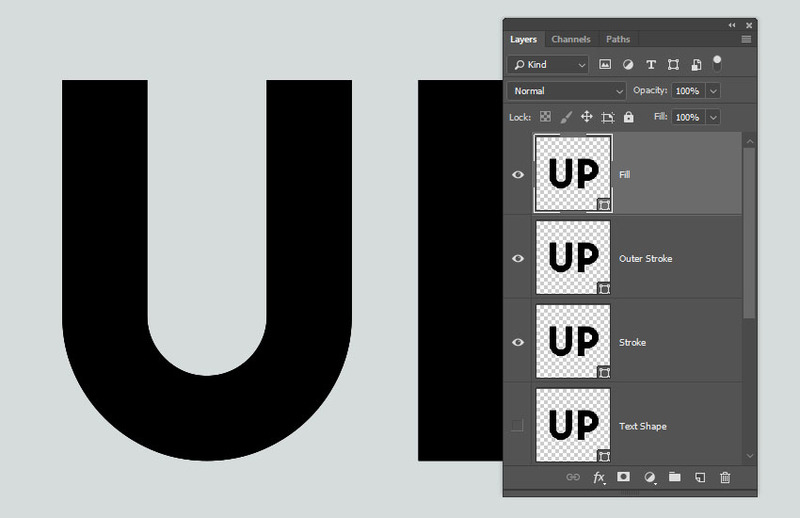 Rename the copy layers from top to bottom to Fill, Outer Stroke, and Stroke. 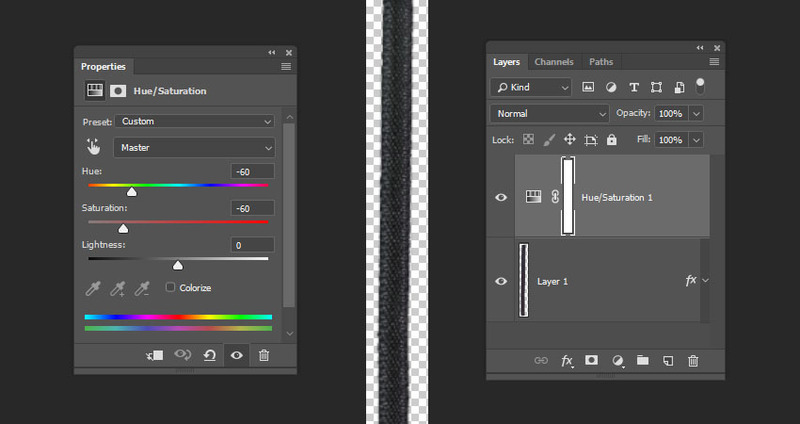 Keep in mind that you can turn these layers’ visibility on and off during the tutorial to better see what you’re doing with each one of them. 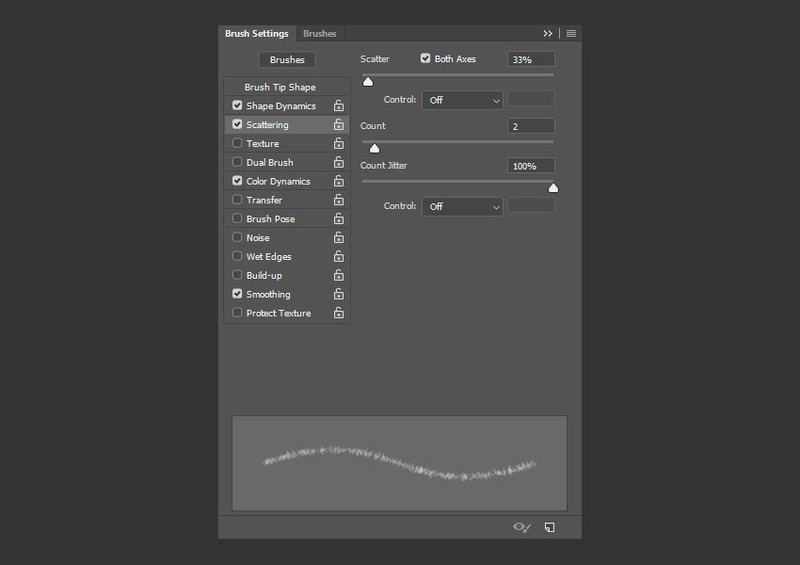 For both the Stroke and Outer Stroke layers, select each of them, and pick the Direct Selection Tool (A) to adjust their shape attributes in the Options bar. 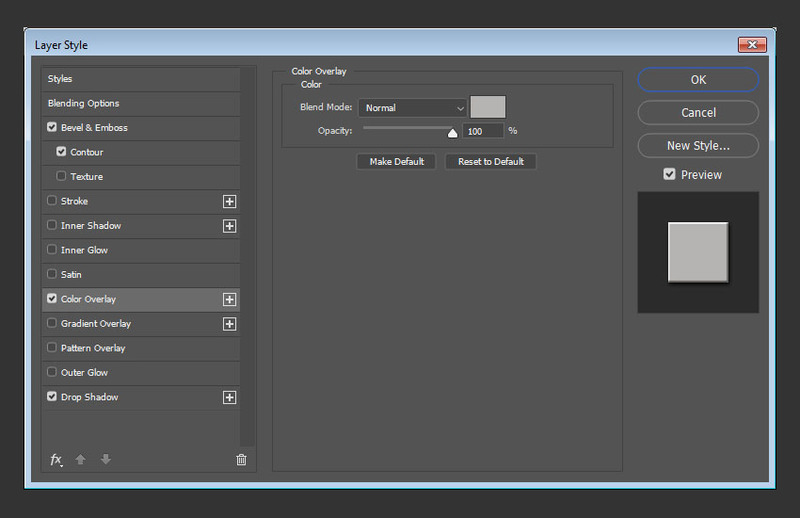 Change the Fill to None, the Stroke Color to any bright color, and the Size to 35. 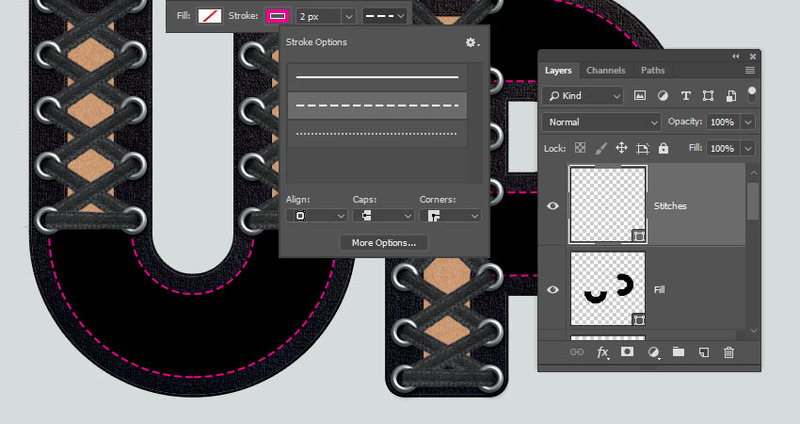 Then click the Set shape stroke type icon to change the Align to Center and the Corners to Round. 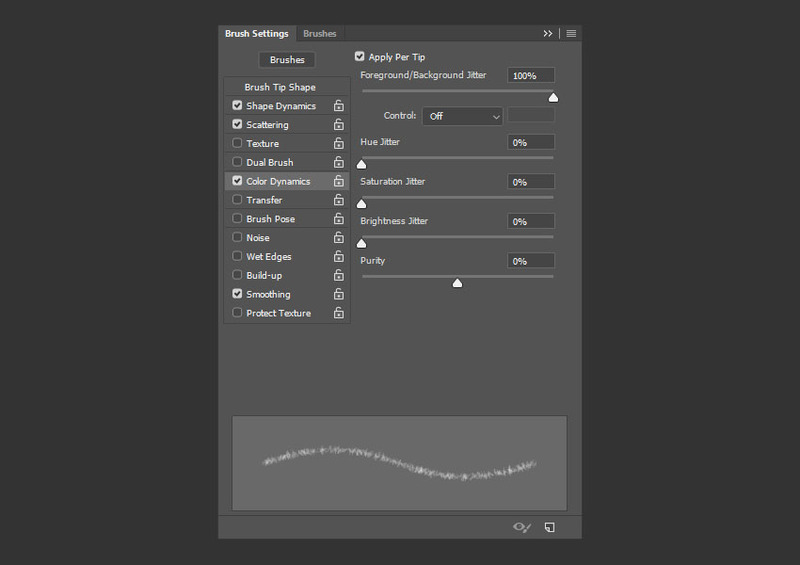 Change the Stroke layer’s Fill value to 0. 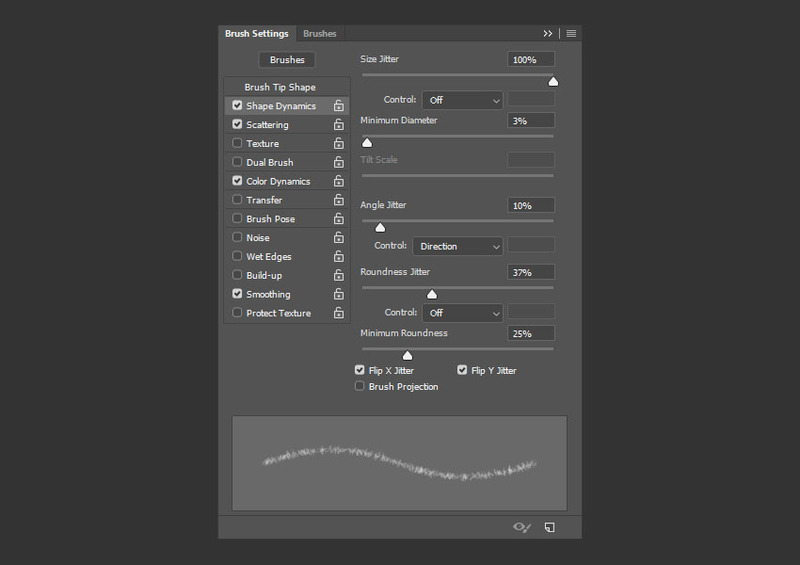 Change the Outer Stroke layer’s Fill value to 0. 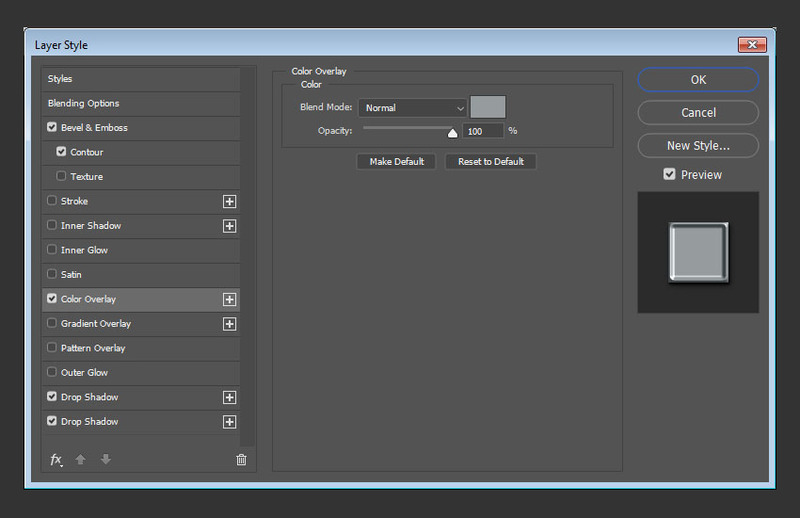 You can use any other color you like depending on the result you want. This will style the Text Shape layer. 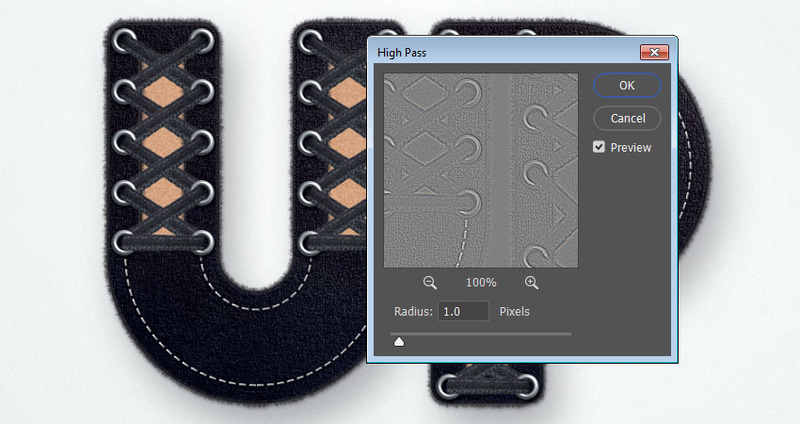 Pick the Ellipse Tool and create a 30 x 30 px circle where you want to place the first eyelet. 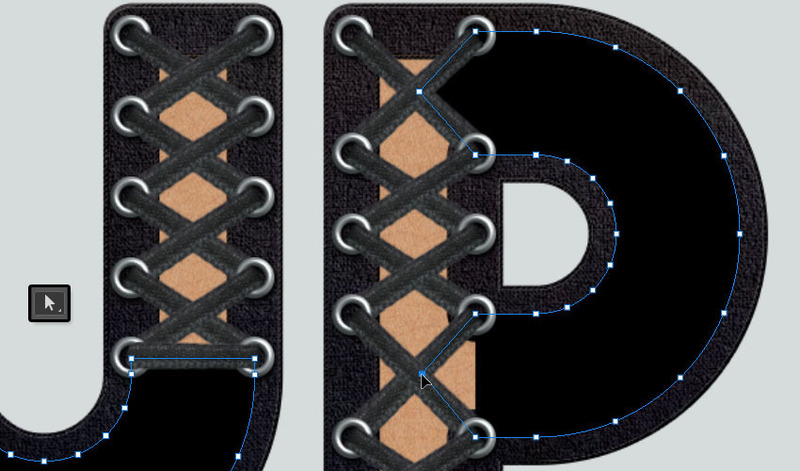 Then, press-hold the Option key, and create a smaller 17 x 17 px circle inside the one you already have to subtract it and get the main eyelet shape. 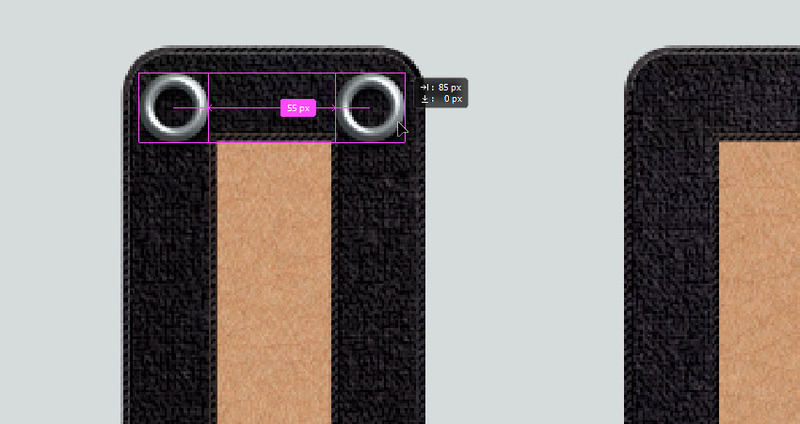 You can use the Path Selection Tool to separately select and move the smaller circle inside the bigger one if needed. Right-click the shape layer and choose Convert to Smart Object. 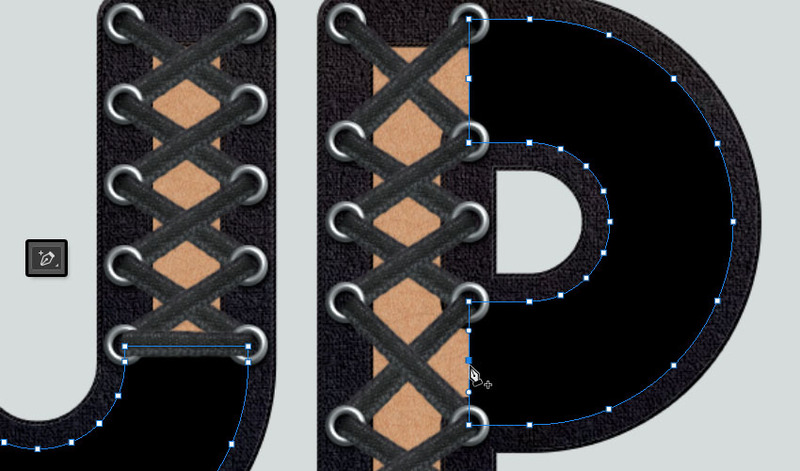 Press-hold the Option key and click-drag the styled eyelet shape to duplicate it. You can press-hold the Shift key while doing so to constrain the movement. 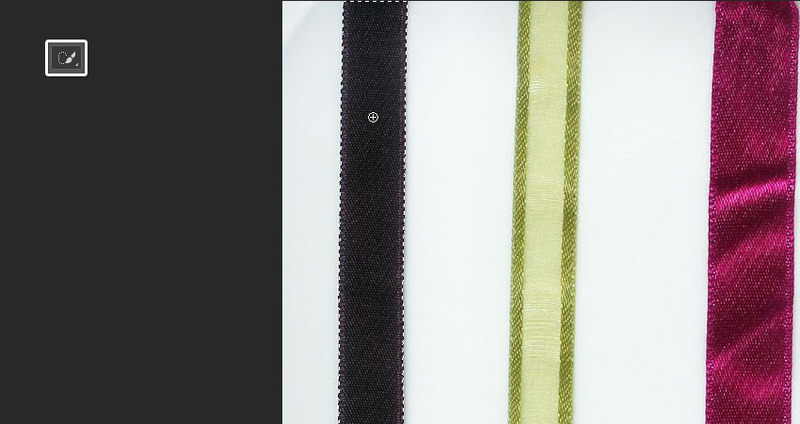 Open the Ribbons image, and use the Quick Selection Tool to select the black ribbon. 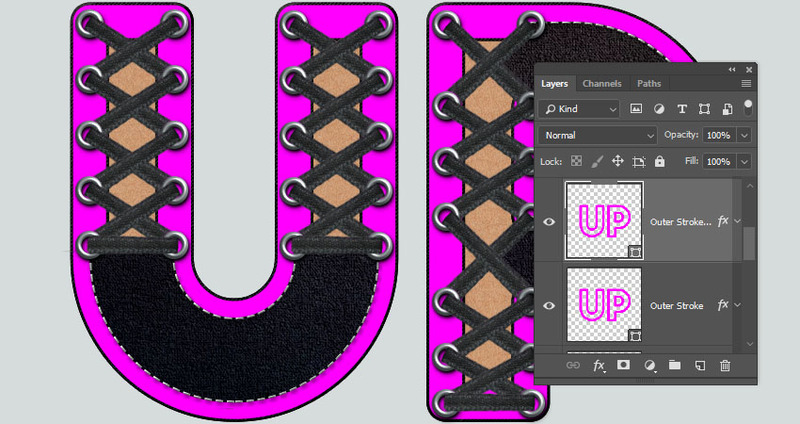 Press Command-J to duplicate the selected ribbon into a new layer, and use the Rectangular Marquee Tool to select a portion you like of the duplicated ribbon. 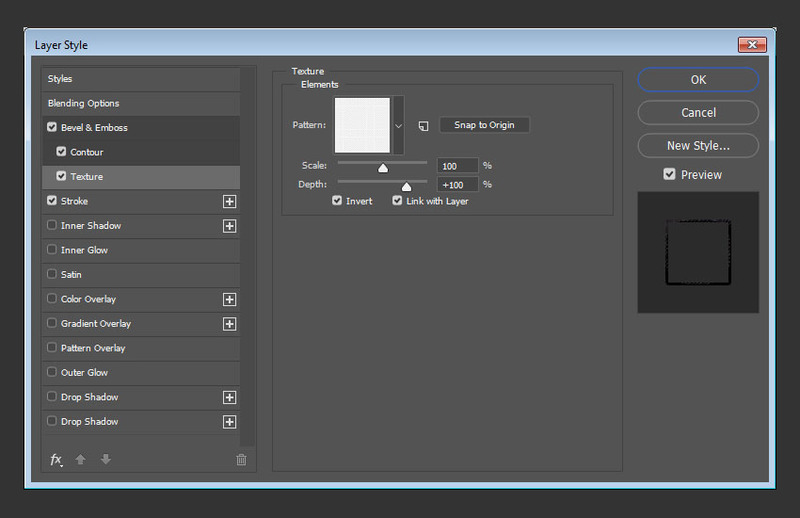 Press Command-J again to duplicate that portion in a new layer, and hide the other layers you have. 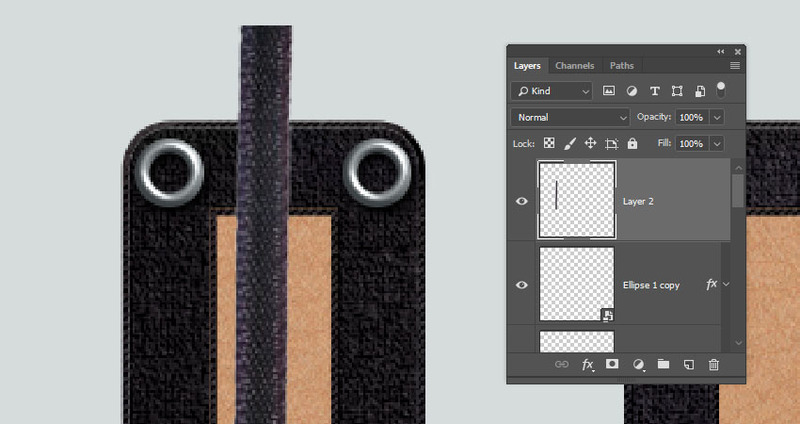 Use the Rectangular Marquee Tool to select the right half of the ribbon, pick the Move Tool, and press the Left Arrow key a couple of times to move the selected part inwards, making the ribbon thinner without losing texture or details. You might need to repeat the process a couple of times to get the result you like. 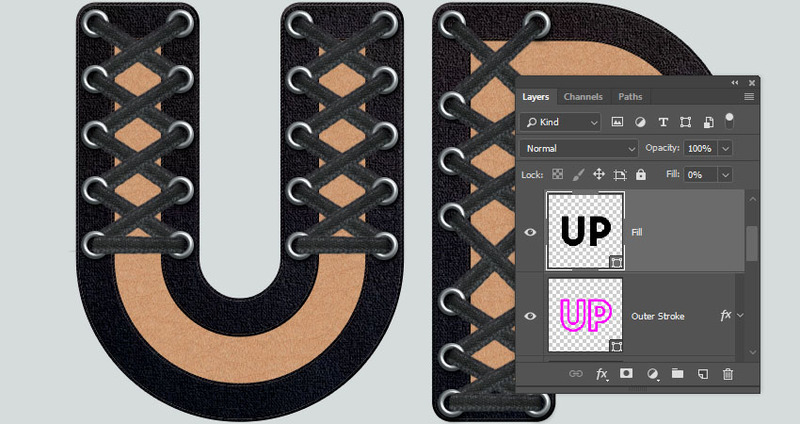 Once you do, duplicate the layer to the original text document. 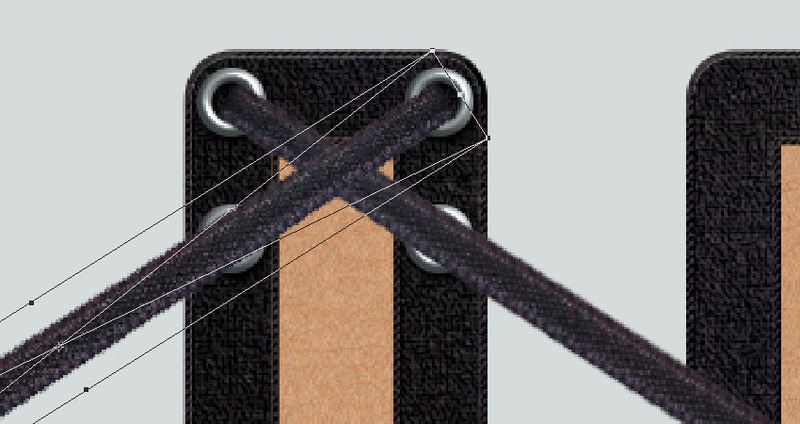 The ribbon should be thin enough to fit inside the eyelet shape you have. If it’s not, keep selecting one half of it and moving it inwards until you get the right size. 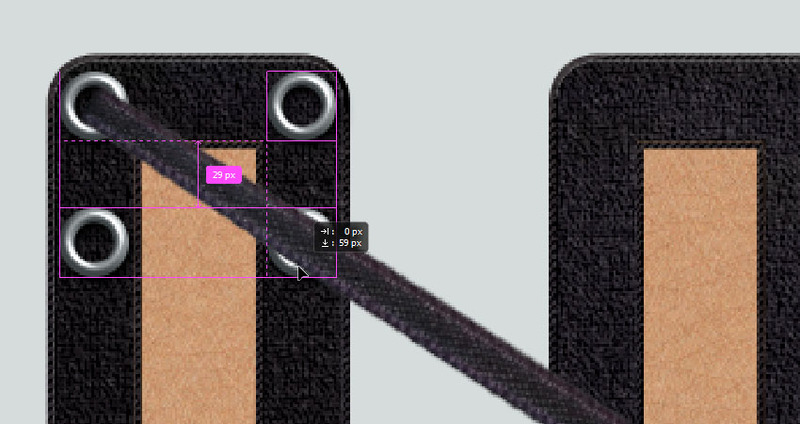 Convert the ribbon layer to a Smart Object. 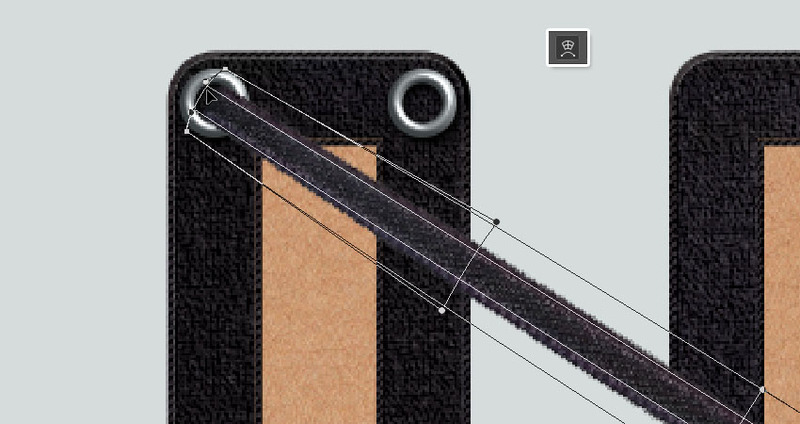 Press Command-T to enter Free Transform Mode, rotate the ribbon to an angle you like based on the distance you want to create between the eyelet rows, and place one of its ends inside the first eyelet. 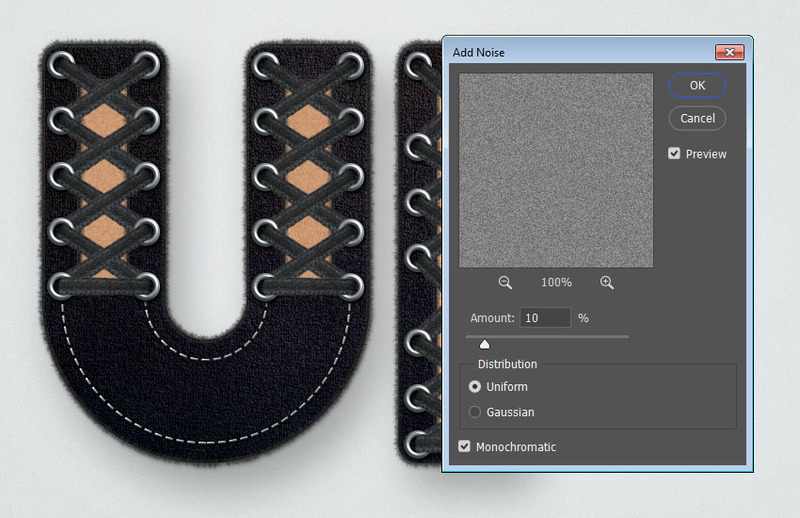 You can also resize the ribbon slightly if needed. Press the Warp icon in the Options bar to enter Warp Mode, and click-drag the ribbon’s tip to create a small arc and give the illusion of it being folded into the eyelet. Press the Return key to commit the changes. 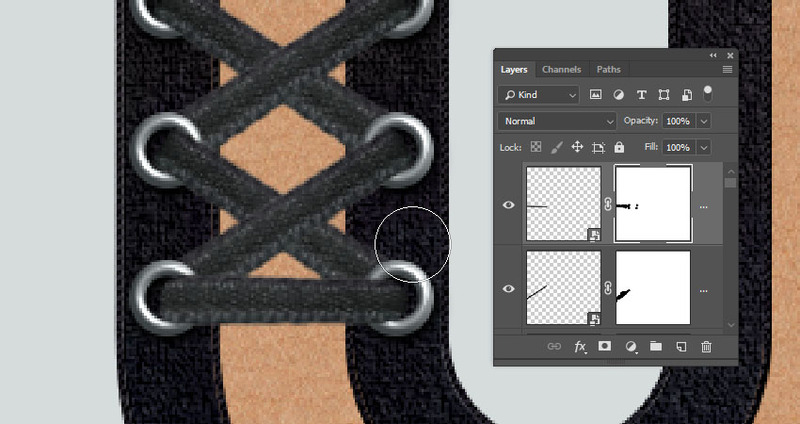 Duplicate both eyelet shape layers and drag them downwards. 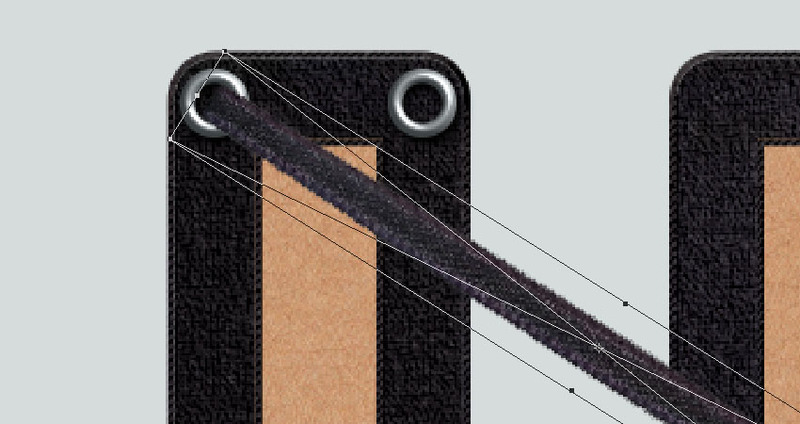 Adjust their position as well as the ribbon’s end so that they meet where you’d like them to. 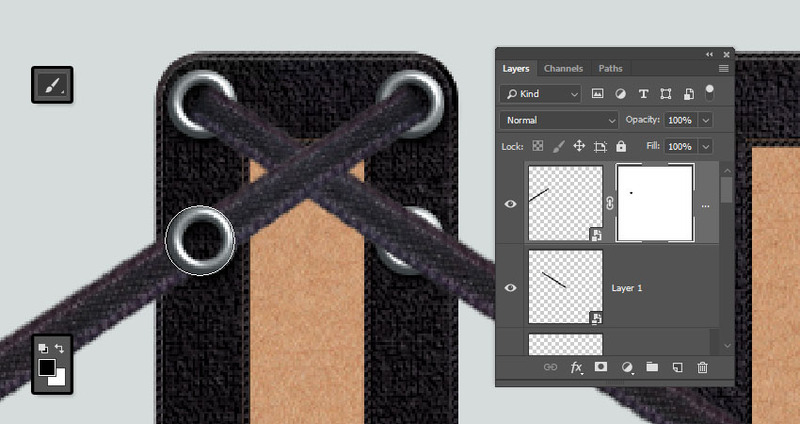 Duplicate the ribbon layer, and go to Edit > Transform > Flip Horizontal. 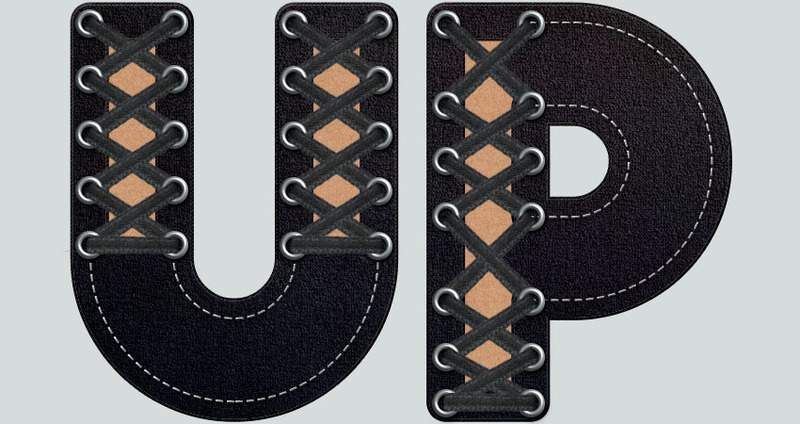 Place the flipped ribbon’s tip inside the empty top eyelet. 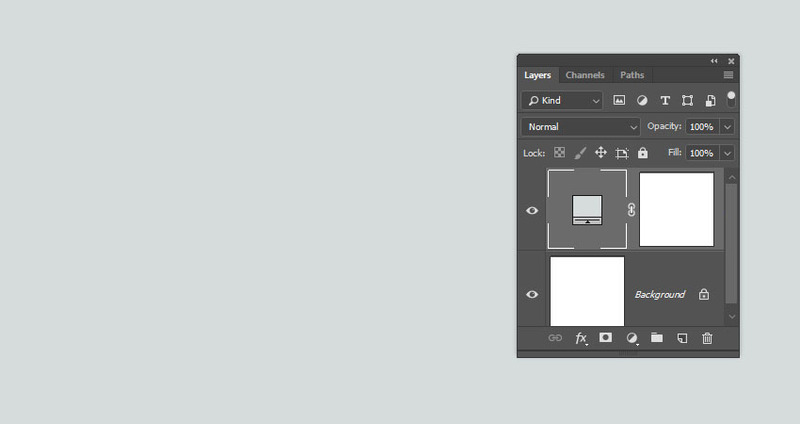 With the ribbon layer selected, click the Add layer mask icon at the bottom of the Layers panel, and select the mask’s thumbnail. 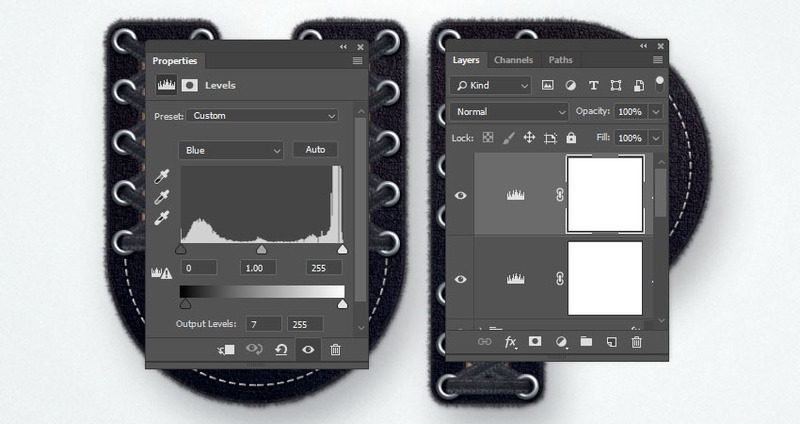 Pick the Brush Tool, set the Foreground Color to Black, choose a hard round brush tip with the same Size as the eyelet, and click on the bottom eyelet to erase the ribbon covering it. 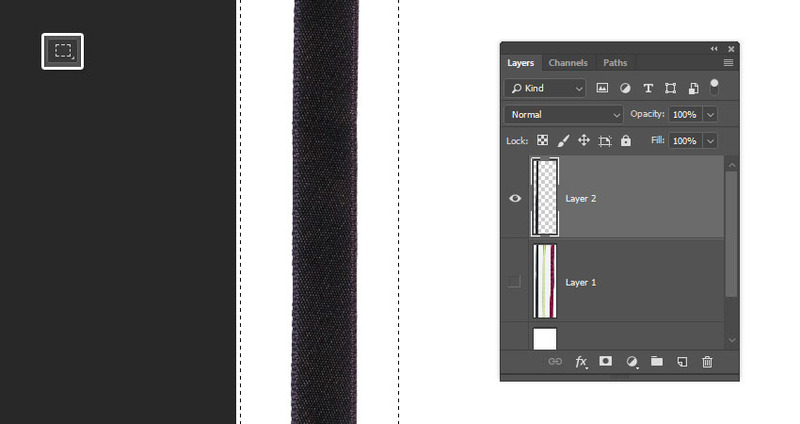 Then, erase the extra parts of the ribbon, and repeat that for the other one. Double-click the ribbon’s Smart Object thumbnail to open it, add a Hue/Saturation adjustment layer, and change both the Hue and Saturation values to -60. 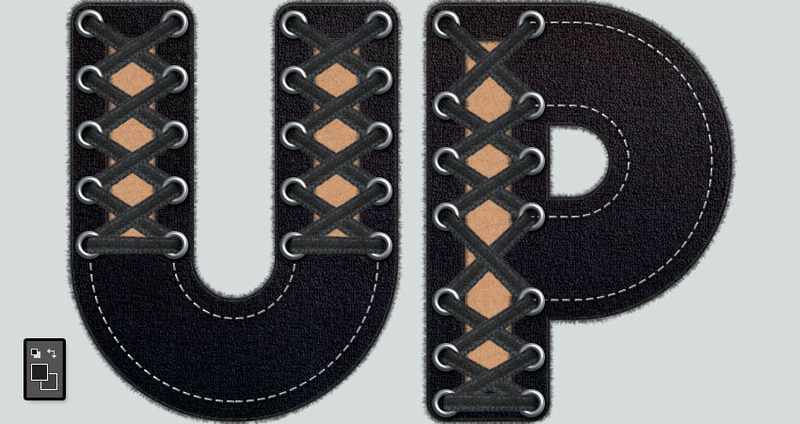 To continue building the laced-up effect, select both the ribbon layers and the bottom eyelet layers, duplicate them, and drag them downwards. 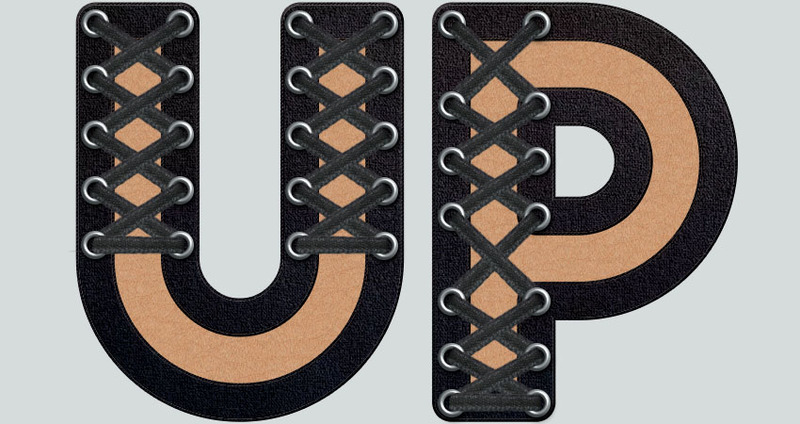 Keep doing that for the straight parts of the letters. 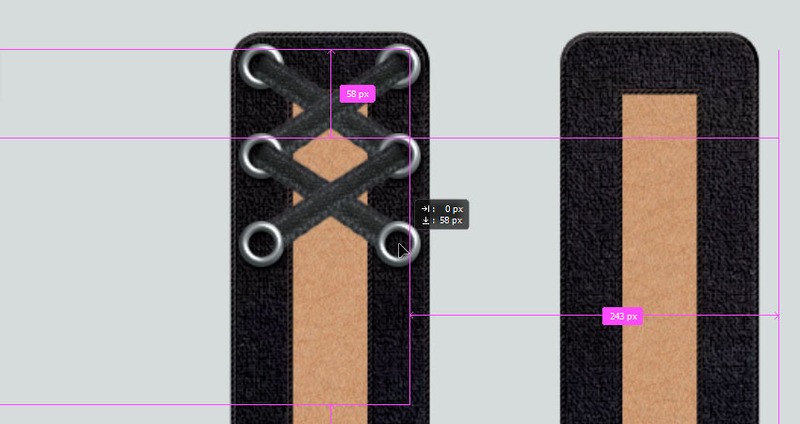 Once you reach a curved area, duplicate one of the ribbon layers, rotate it so that it’s horizontal again, and place it on top of the last pair of eyelets you have. 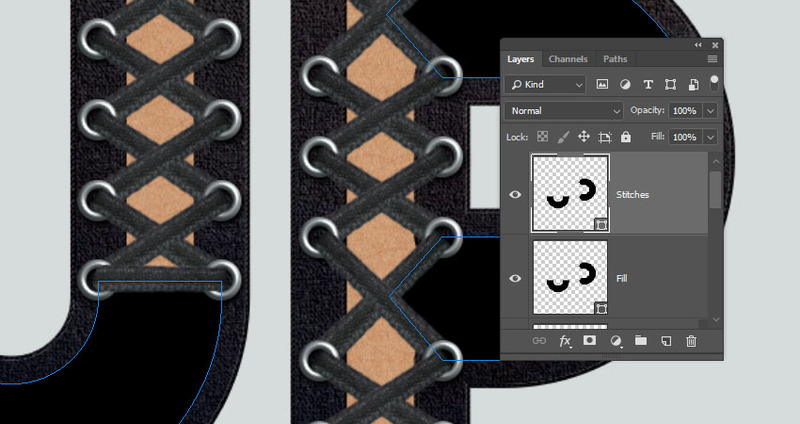 You might need to delete the layer mask in order to transform the ribbon, so do that, and add in a new mask to get rid of any extra parts. 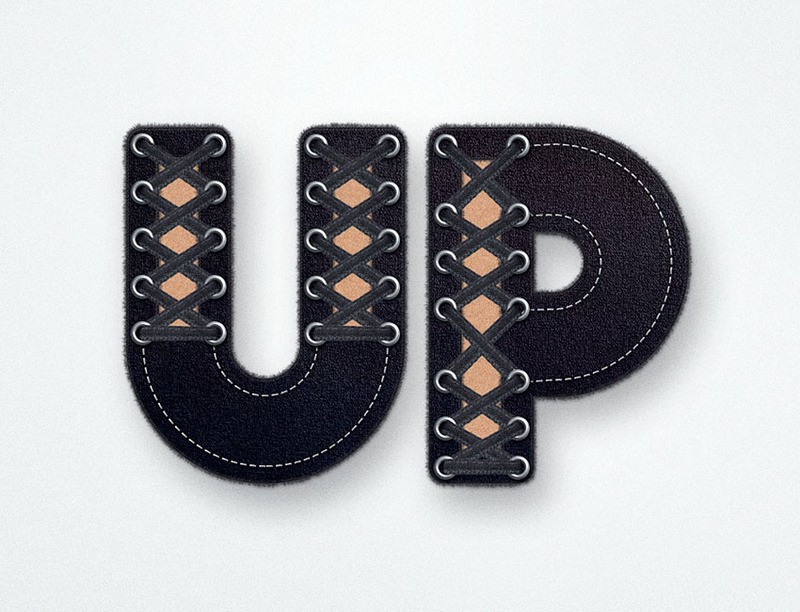 Take the time to build up the effect, and play around with the placement of the elements to fit each letter’s shape. 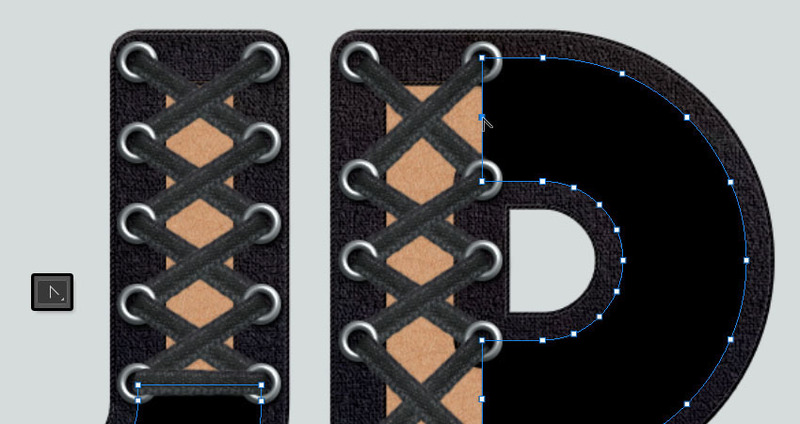 Once you’re done, put all the eyelet and ribbon layers in a group and name it Lace. 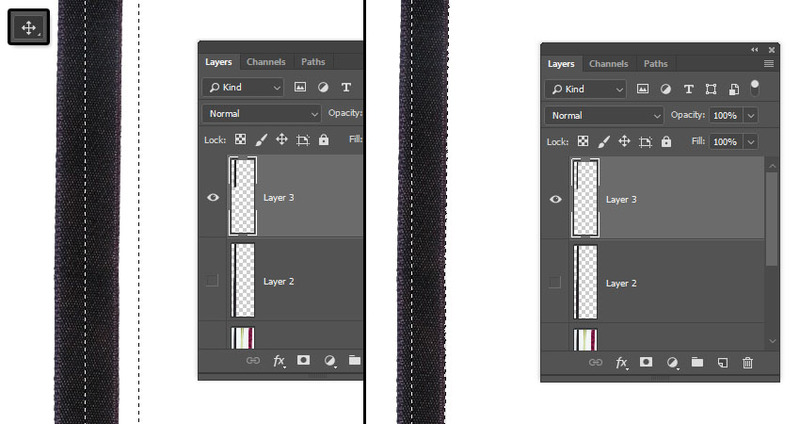 Select the Fill layer and change its Fill value to 0. 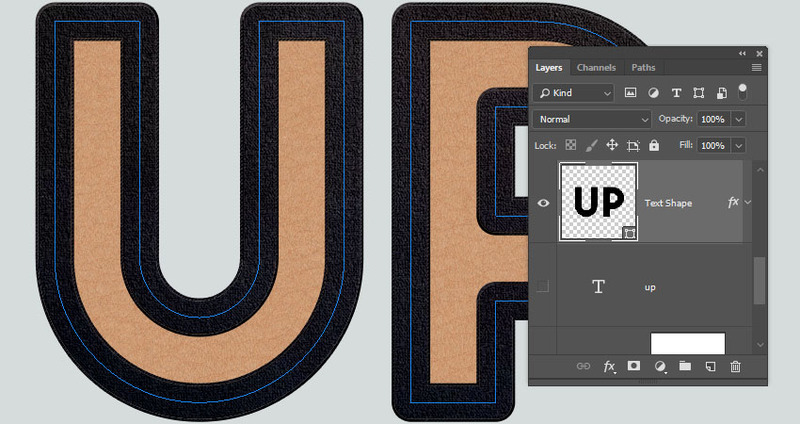 Pick the Rectangle Tool, press-hold the Option key, and create rectangles that cover the laced-up parts of the letters you have to remove them. Change the Fill layer’s Fill value back to 100%, and click the Path operations icon in the Options bar to choose Merge Shape Components. 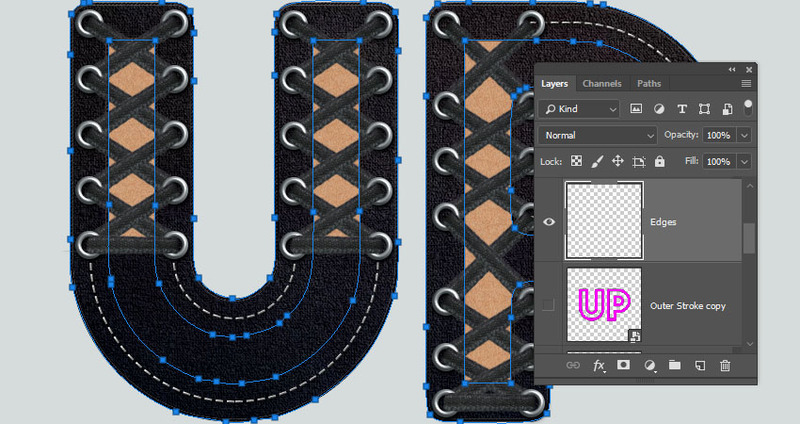 Pick the Add Anchor Point Tool, and click where you want to extend the shape to cover any more areas. 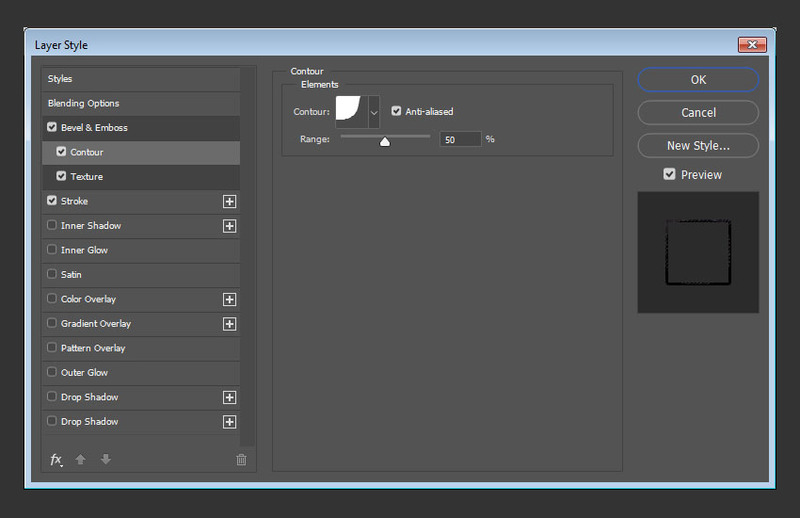 Pick the Convert Point Tool and click any anchor points you added to convert them to corner points. Use the Direct Selection Tool to select and drag the anchor points to create a final shape you like. 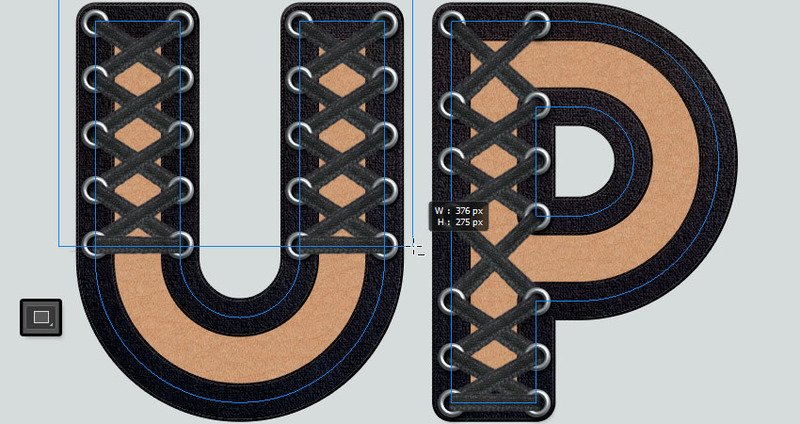 Duplicate the Fill shape layer and rename the copy to Stitches. 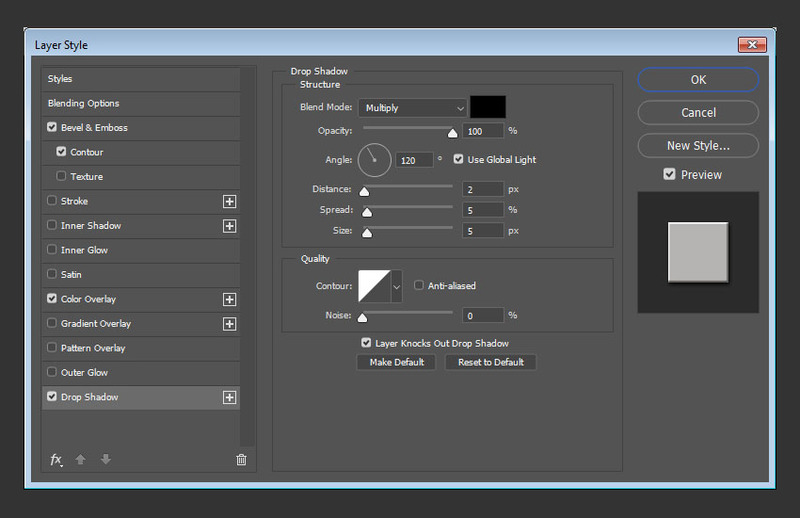 In the Options bar, change the Fill to None, the Stroke Size to 2, click the Set shape stroke type icon, and choose the dashed preset. 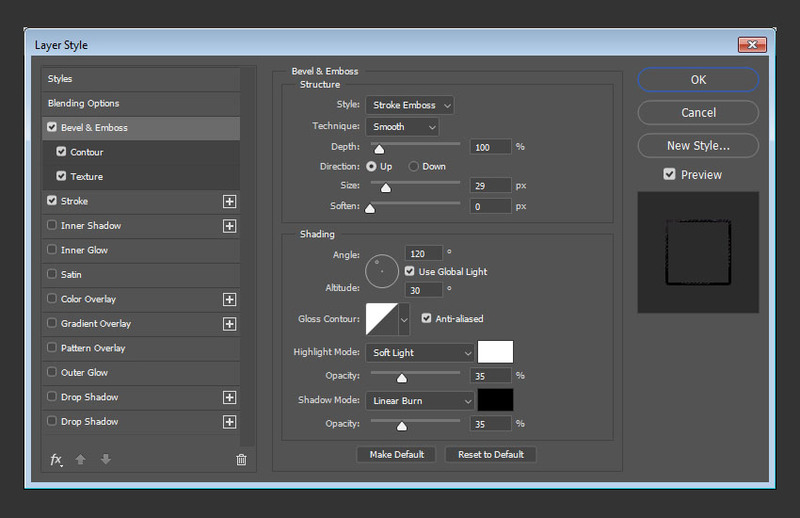 Right-click the Stroke layer, choose Copy Layer Style, right-click the Fill layer, and choose Paste Layer Style. This will style the stitches. Duplicate the Outer Stroke Layer and change its Fill value to 100%. 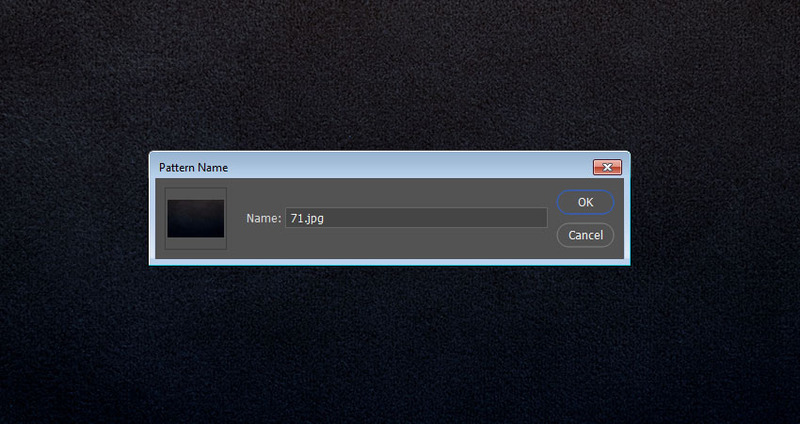 Convert the copy layer to a Smart Object and Command-click its thumbnail to load a selection. 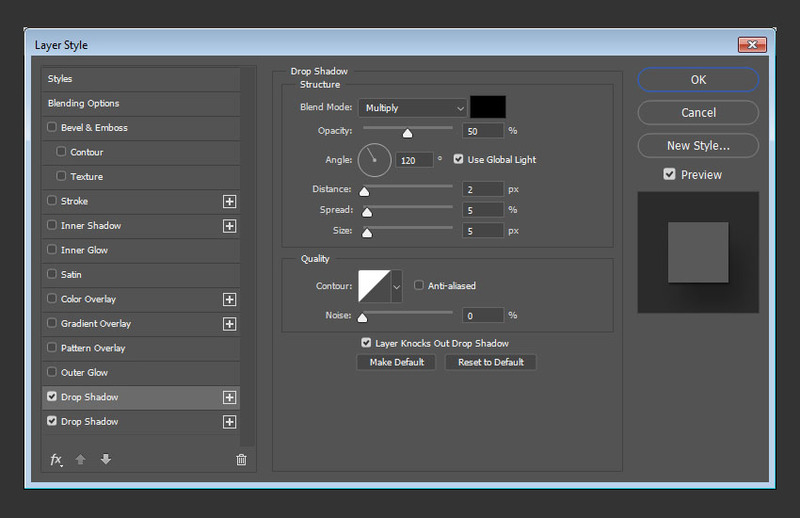 Open the Paths panel, Option-click the Make work path from selection icon at the bottom of the panel, set the Radius to 0.8, and click OK. 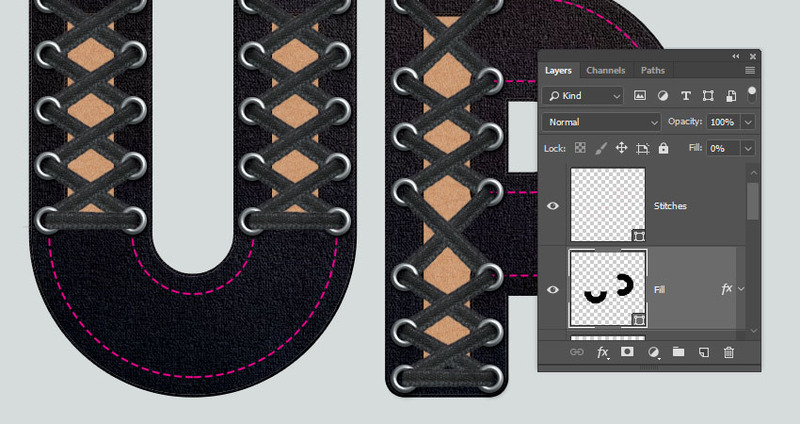 Hide the Outer Stroke copy layer, and create a new layer on top of it with the name Edges. 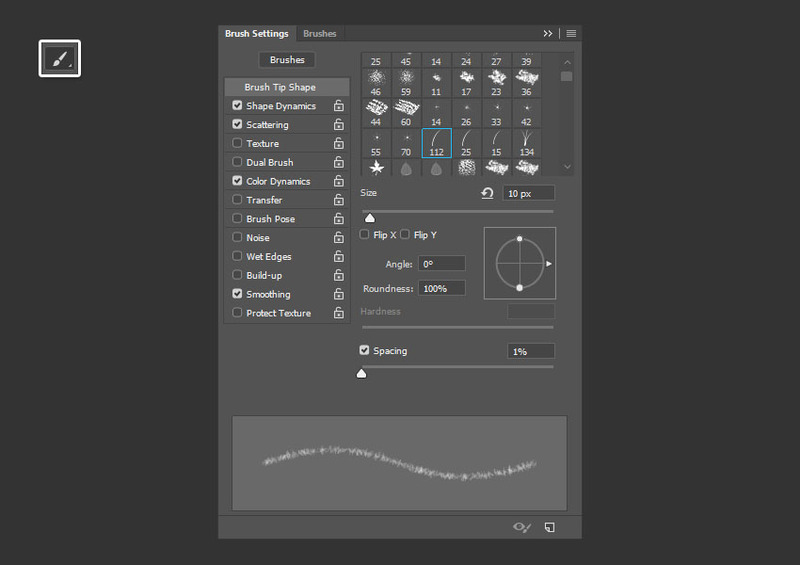 Pick the Brush Tool and open the Brush Settings panel. 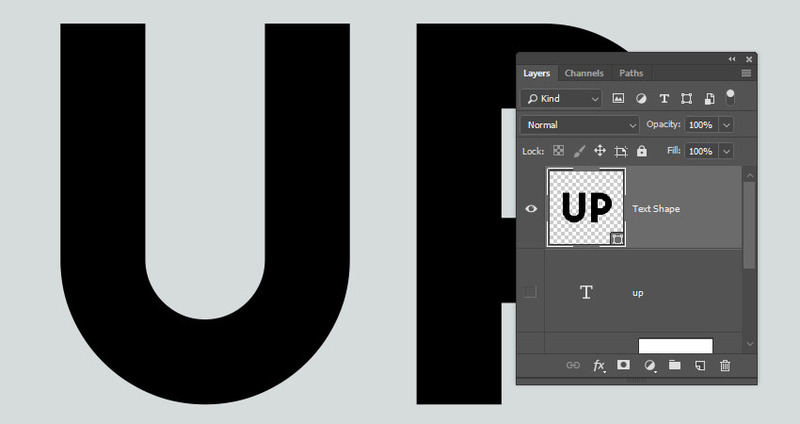 Set the Foreground Color to #212121 and the Background Color to #3f3f3f, and hit the Return key a couple of times until you like the stroke. 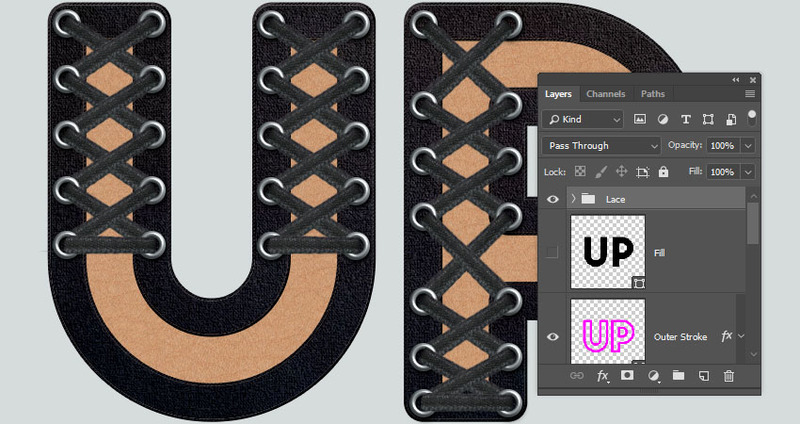 Place all the layers you have, except for the Background and Solid Color layers, in a group and name it Text. This will add the final shadows. 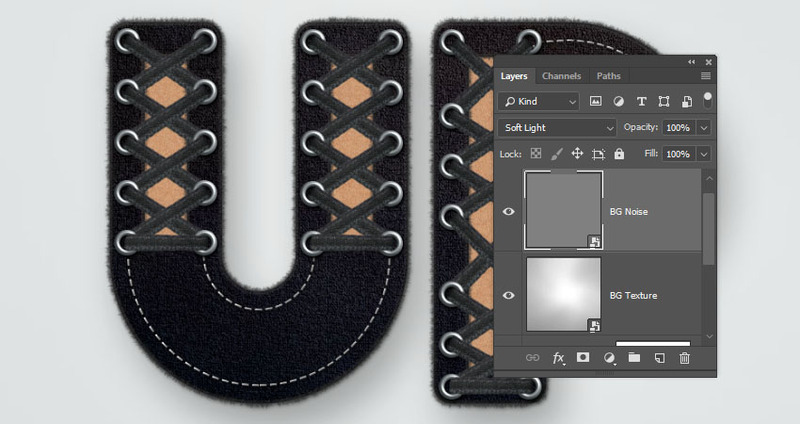 Place the 1.jpg image from the Abstract Spotlight Backgrounds pack on top of the Solid Color layer, and resize it to fit within the document so that its bottom part isn’t showing. 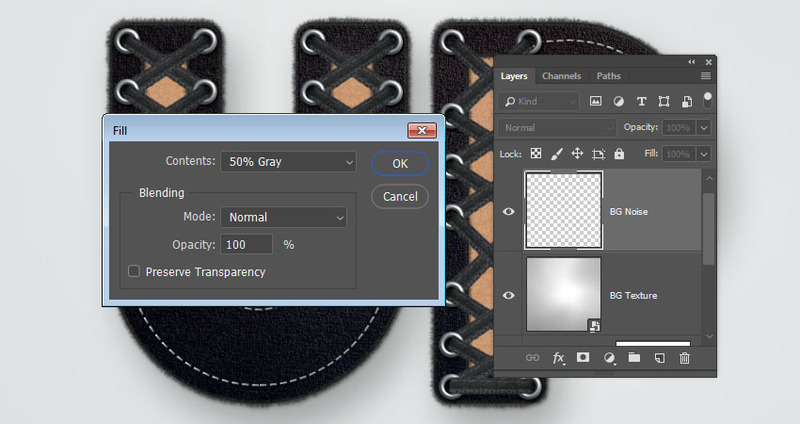 Rename the layer to BG Texture and change its Blend Mode to Soft Light. 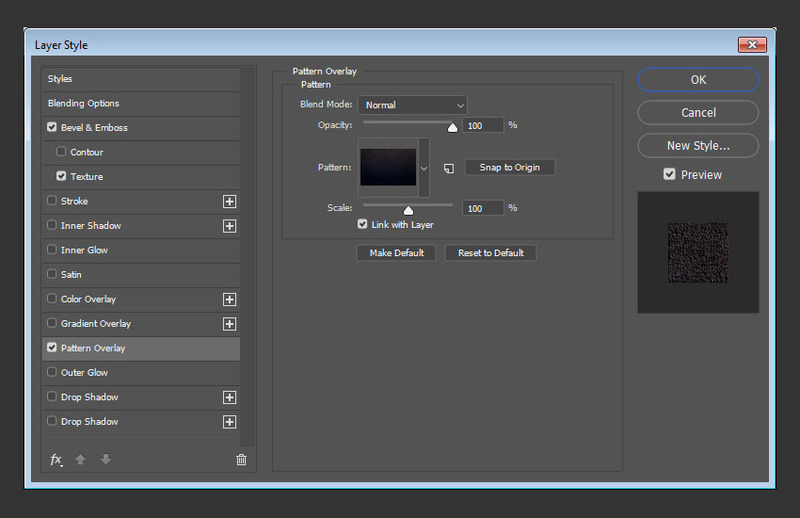 Create a new layer, name it BG Noise, and go to Edit > Fill. 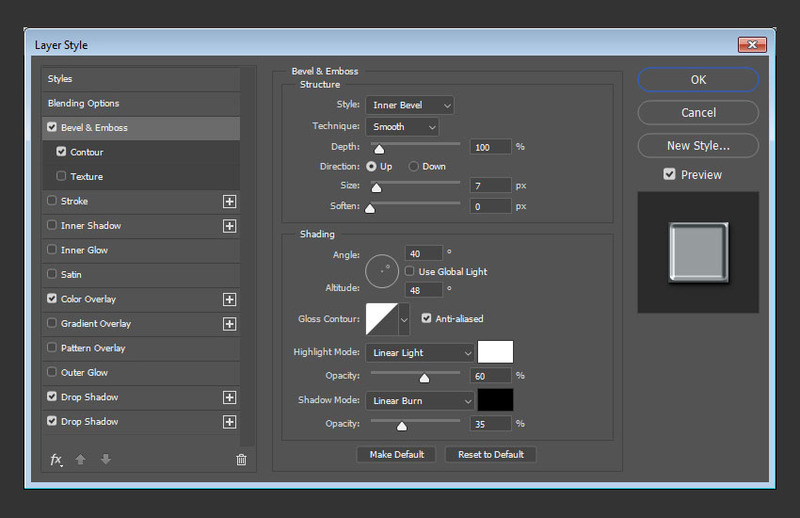 Convert the BG Noise layer to a Smart Object, and change its Blend Mode to Soft Light. 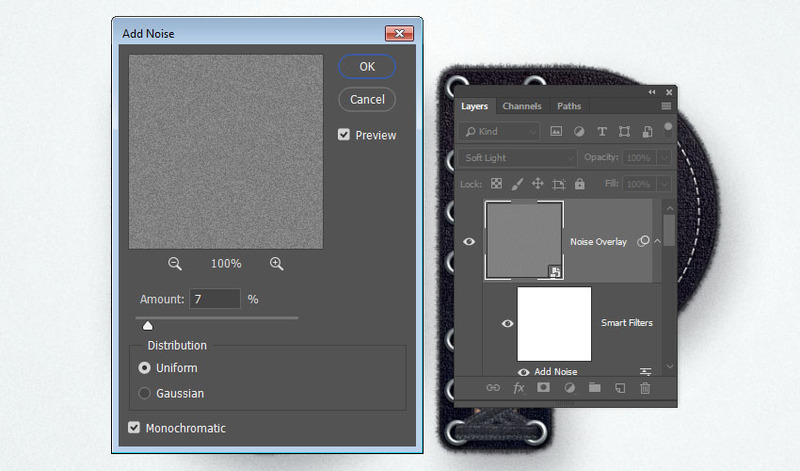 Go to Filter > Noise > Add Noise, change the Amount to 10 and the Distribution to Uniform, and check the Monochromatic box. 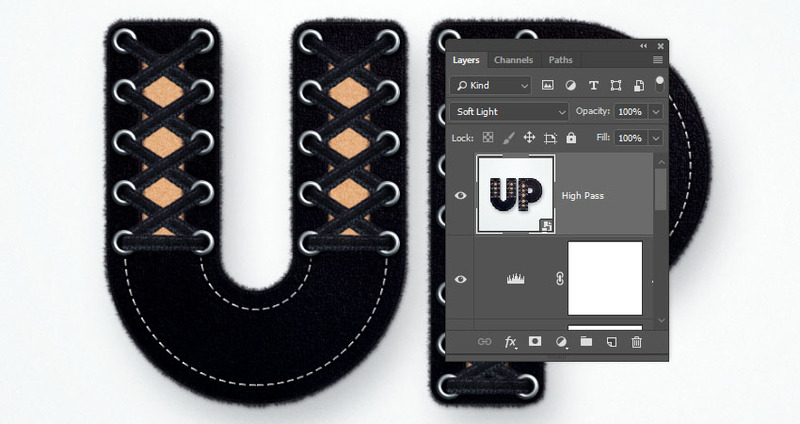 Add a Levels adjustment layer on top of the Text group, change its Blend Mode to Luminosity, and change the Shadows value to 5 and the Highlights to 237. Add another Levels adjustment layer on top of all layers, choose the Blue channel, and change the Output Shadows value to 7. 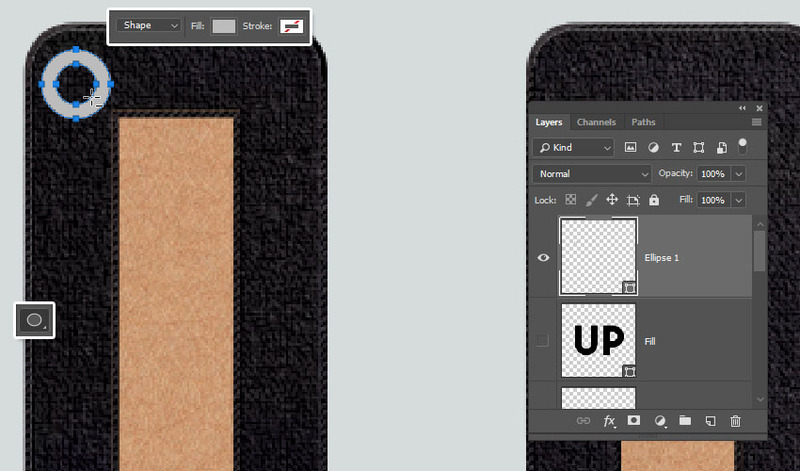 Create a new layer on top of all layers, name it High Pass, and press Command-Option-Shift-E to create a stamp. Convert the layer to a Smart Object and change its Blend Mode to Soft Light. Go to Filter > Other > High Pass, and change the Radius value to 1. 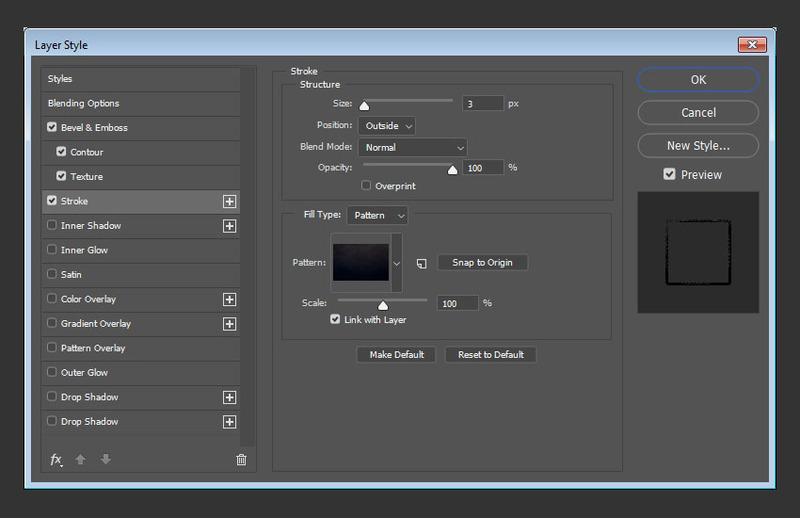 Duplicate the BG Noise layer, place the copy on top of all layers, expand the Smart Filters list, and double-click the Noise tab to change the Amount to 7. 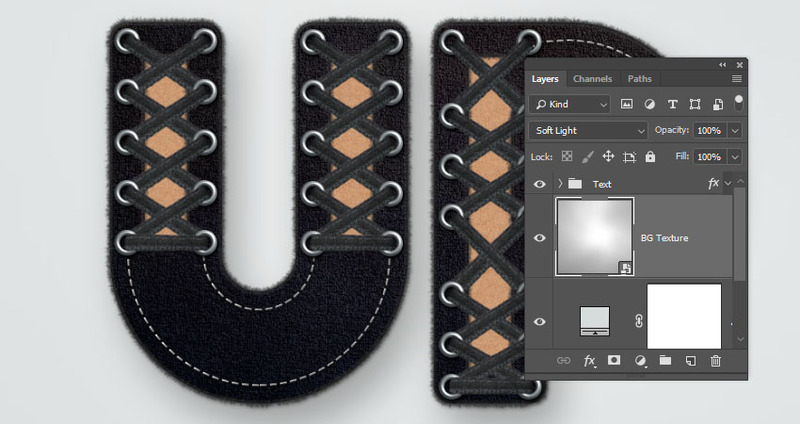 In this tutorial, we created a couple of shape layers and adjusted their shape attributes to create the different text parts. Then, we styled the layers, created the eyelets, and added the ribbon. 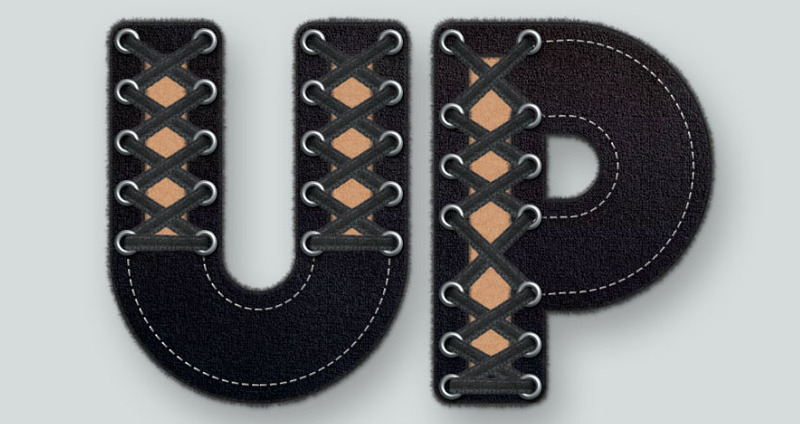 After that, we worked with the different elements to build the laced-up effect, and created a brush tip to add some fuzzy edges. Finally, we made some final adjustments to finish off the effect.